There is a new launch by Facebook and it is in the air recently. Facebook always tries to do R & D. The newly launched feature in the most happening social networking king is the use of "Trusted Contacts". Contacts that in our account are the trusted ones, then what is this new feature called "Trusted Contacts"? Is it the alarm that is warning us to be careful to select only the trusted contacts? May be in the list of our contacts, the few may be trusted according to Facebook !!! No, none of the above answer is right. Trusted contact is nothing but a type of help that your close friends or relatives who can regain your lost password. The password is sometimes lost by us, sometimes we just forget even if we access our account daily. It may happen which is but natural. For that , the new feature launched by Facebook will guide you to get the lost password through which you can gain access to your account. Think of it in this way, if you are still in the state of confusion. Suppose, you are going out somewhere and you instead of taking the keys of your house, have forgot taking it with yourself. Then to get access to you home sweet home will be a problem. May be you have to break your door for getting inside. To avoid all these circus, we intelligently give one key to our neighbors who are our close ones and are trusted ones. If in the above situation, we just ask for help to get the another set of keys of our door, then it can be opened and without any hassles. Similarly, if your password is your key to Facebook account and to gain the access, if your password is lost, then you can ask for your friends help who are actually "trusted" and they can solve the problem out. 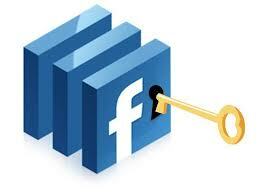 You may call this as a type of security towards your Facebook account . Do you remember, when we used to forget our password in gmail or yahoo account? What we used to do? The security question to be answered for setting the new password. In this you just have to trust your contacts and give your password to them. There is also a limit for this. Limit your "trusted contacts" to 3 or 5. Only they will gr ant you the lost password or hacked password. Firstly , don't forget your password and even if you do, just try to retrieve through your friends called as "Trusted Contacts". Recently I have updated the steps of how to set the Trusted Contacts in one of my posts. Go check it out. We can't get rid this thing to happen and good to know that there is a solution for it.